Do you find yourself nagging, bribing or yelling? Are you wondering where the fun part of parenting went? 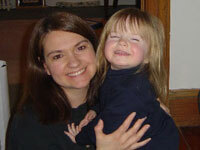 Systematic Training for Effective Parenting (STEP) can help! STEP is a nationally acclaimed discipline method that shows parents how to raise cooperative, happy children. to listen to in your car, at home or at the gym. It's available as an MP3 download for your computer, smartphone or other digital audio player. 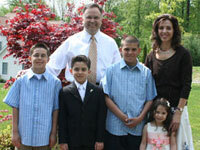 This NBC news feature (less than 3 minutes) shows how STEP helped a family where yelling had become a way of life. if the video isn't loading, try this. Parents who learn the Systematic Training for Effective Parenting (STEP) method through the classes or recordings stop yelling, bribing, nagging and punishing. They raise well-adjusted, caring kids who make responsible choices. 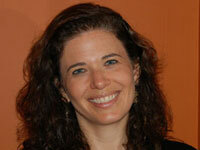 About the instructor, Aviva Schwab, M.Ed. 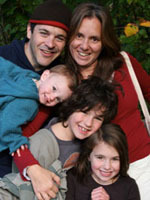 Aviva Schwab is a mother, an educator and a parenting expert. 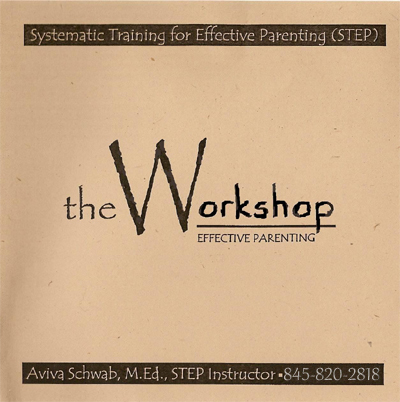 For 27 years, Aviva offered Systematic Training for Effective Parenting (STEP) classes to parents, teachers, social workers, therapists and pediatricians. To answer the needs of busy people, Aviva developed a recording of her live workshop as an MP3 download. The STEP skills worked so effectively with Aviva's two children (now grown), that she and her husband used to "fight" over who got to pick them up from school! I have been a mom for 12 years and for 12 years I have been 'winging it' - not so well I might add. Since listening to the CDs [now in MP3 format], our family has improved, especially our youngest (five), who was formerly the head of household! We are all happier. I feel confident now that my children will learn to be responsible and respectful adults. And we are responsible, respectful parents too! This recording is the manual that I wish I had gotten at the hospital before we left there with our first born. I am breaking the cycle of poor parenting that has been passed down for generations in my family. It has been a lot more fun to be a father since taking this class. 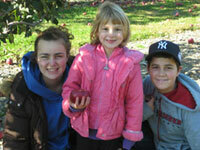 Thanks to STEP, I feel closer with my kids and look forward to being real friends with them as they grow into adults. It was easier to manage my department of 200 people than to parent my two children. Thankfully, I found the training that helps me enjoy my children while still being in control. [Since listening to the recording,] I've been very, very calm and my kids are listening to me more. We love the family conversation at dinnertime... My kids actually work out their fights... They feel like they are a part of something when they do chores. The contents of this workshop would never come naturally to me but as I learn from Aviva, I feel that this should be the 'natural' way to handle things. A large STEP for an arrogant male. The 'food issue' is no longer an issue at our house. My daughter is even trying new foods and dinner time has become a pleasant time. How to get everyone out in the morning without yelling your head off. How to eliminate tantrums, whining and displays of attitude. Why it's important for kids to develop responsibility instead of relying on others to police them. How to raise kids who are willing to talk with you AND willing to listen to you. How to stay calm with your children when the phone is ringing, the soup is boiling over and you're up against a major deadline for work. What not to do when your kids fight with each other. How to handle bedtime and sleep issues in a way that allows both you and your children to get a good rest. How to build a foundation with your children that leads to the prevention of drug abuse, early sexual activity, self-mutilation, depression and suicide. Punishments such as grounding, spanking and time out make kids angry and vengeful. How to use Logical Consequences, the skill that helps children learn self-discipline and cooperation. material, where real world examples are delivered with insight and humor. 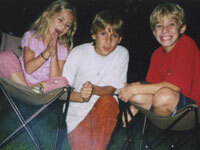 As a clinical psychologist and a family therapist, I have studied and prescribed many parenting strategies. This course is the most useful in terms of hands-on techniques and helping to calm parents and children. I find myself recommending it often and using it with my own children effectively. STEP has given me the framework with which to make millions of parenting decisions every day. 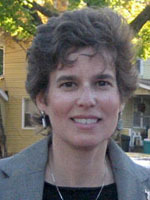 Aviva Schwab recorded all of her classes for two years and then edited the class discussions, lectures and participants' questions to create the "best" possible version. The Workshop Recording is ideal for people who cannot attend the classes in person due to distance or time constraints. It includes the lively, enlightening recording along with a printable program booklet and handouts. Bonus section: Hear how one of Aviva's sons (then a high school senior) feels about STEP when he answers participants' questions during the third class. Buy the Workshop as an instant download to play on your computer, smartphone, or other digital audio player. Printable versions of all handouts included. Note: Payments are processed through PayPal. You do not need a PayPal account to check out. PayPal will let you securely enter any major credit card without a PayPal account. New York residents must pay sales tax (calculated in shopping cart). *The price for the recording is not a misprint. Aviva has always said that if everyone knew how to use this effective and caring method of discipline, we would have world peace. To achieve that goal, she is offering the MP3 download for a nominal fee. Enjoy! Just wanted you to see my best friends thanks to STEP! Lose the stress and have fun. Enjoy your kids. Enjoy your life.